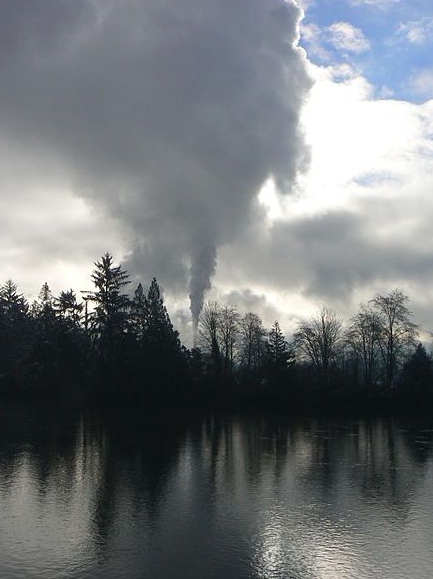 View of Catalyst Paper across from the Somass River at Port Alberni Mill in British Columbia. Photo taken by Kevstan on December 18th 2012. Thank you for your research investigating the presence of endocrine disruptors in Canadian environments. While we are grateful that the government has acknowledged the toxicity of Bisphenol A, and has regulated its use in baby bottles, Canadians remain concerned about the ubiquity of this substance in consumer goods and in the industrial waste circulating through our environments. We are especially concerned about the impacts of ongoing exposures to Bisphenol A (and its substitute Bisphenol S) on wildlife and people. What kinds of monitoring programs are in effect for measuring the amount of BPA in our bodies? Given these recent connections between Bisphenol A exposure and paper products, how is the release of this substance from industry being monitored? While there have been some efforts to control this ubiquitous chemical, how effective have these interventions been? Are the similarly toxic substitutes to BPA, such as BPS being, monitored? I am writing this email as part of Write2Know (http://write2know.ca), a letter-writing campaign that aims to mobilize public awareness and inquiry into federal research programs. We want to let you know that we value federal science and scientists, and that our questions arise out of genuine concerns about the health and well-being of Canadians. Biedermann, S., Tschudin, P., & Grob, K. (2010). Transfer of bisphenol A from thermal printer paper to the skin. Analytical and bioanalytical chemistry, 398(1), 571-576. Colborn, T., Dumanoski, D., & Myers, J. P. (1996). Our stolen future: are we threatening our fertility, intelligence, and survival? : a scientific detective story. Dutton. Haines, D., Levallois, P., Levesque, J., Van Oostdam, J., & Viau, C. (2010). Lead and bisphenol A concentrations in the Canadian population. Statistics Canada. Grignard, E., Lapenna, S., & Bremer, S. (2012). Weak estrogenic transcriptional activities of Bisphenol A and Bisphenol S. Toxicology in Vitro, 26(5), 727-731. Mark Hewitt, L., Parrott, J. L., & McMaster, M. E. (2006). A decade of research on the environmental impacts of pulp and paper mill effluents in Canada: sources and characteristics of bioactive substances. Journal of Toxicology and Environmental Health, Part B, 9(4), 341-356. Naderi, M., Wong, M. Y., & Gholami, F. (2014). Developmental exposure of zebrafish (Danio rerio) to bisphenol-S impairs subsequent reproduction potential and hormonal balance in adults. Aquatic Toxicology, 148, 195-203. Raloff, J. (2010). Receipts a large—and largely ignored—source of BPA: Small studies raise big alarm about exposure to a hormone-mimicking chemical. Science News, 178, 5. Vom Saal, F. S., & Hughes, C. (2005). An extensive new literature concerning low-dose effects of bisphenol A shows the need for a new risk assessment. Environmental health perspectives, 926-933. World Health Organization. (2012). State of the Science of Endocrine-Disrupting Chemicals. Geneva: International Programme on Chemical Safety.